This photograph is so worthy of study because the small refreshment stands, dance halls, illegal saloons, and “fakir booths” in or near the “Minnehaha Midway” were nearly never photographed. Only a handful of images from the era have come to light so far. Two different refreshment pavilions just past the Minnehaha Depot. One has plenty of advertising, for Ives Ice Cream, Cream Soda, and Lunches. The other has a man looking down the tracks towards Minneapolis.–from the Minnesota Historical Society. Author karenPosted on April 17, 2018 October 9, 2018 Categories 20th Century, mysteries, The Depot, UncategorizedTags 1903 refectory, 1905 refectory, depot, pavilions1 Comment on Pavilions at Minnehaha, part 1. Facing west, at the south end of the Minnehaha “Little Princess” depot. Look beyond the depot building: there are 2 different businesses. –from the Minnesota State Historical Society. The central story of Minnehaha Falls is the conflicting narratives between the virtuous, morally pure civic body and the goofy, rowdy, maybe-a-little-criminal nonsense that people actually engaged in. Call it control versus chaos, or even liberal versus conservative, though the situation had fuzzier edges that make it hard to push into any strict categories we might have today. But it was a real conflict that played out over generations. It really was a fight for the soul of Minnehaha Falls. 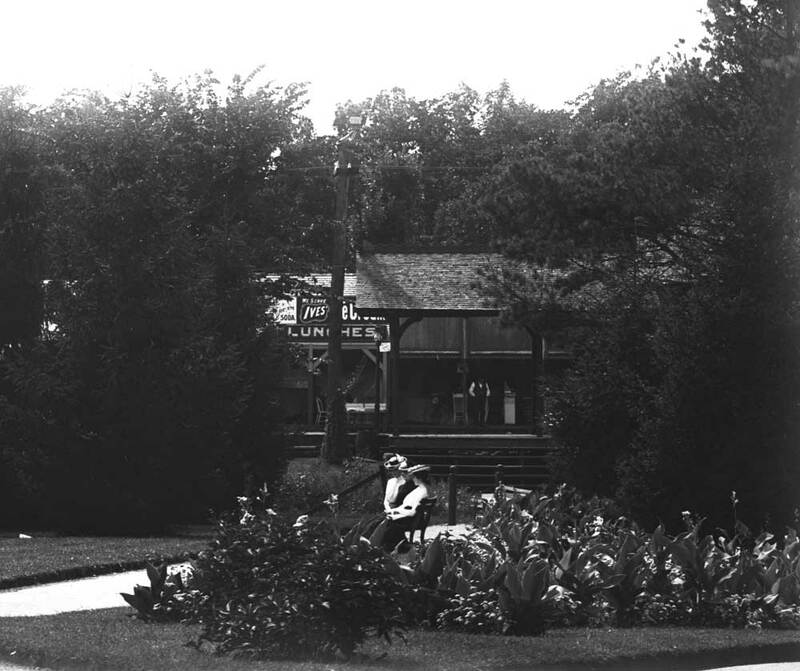 After the Minneapolis Board of Park Commissioners took ownership of the Falls in 1889, many of the refreshment vendors and fun-providers who had been located at the Falls migrated to the land just outside the park itself and set up for themselves there. 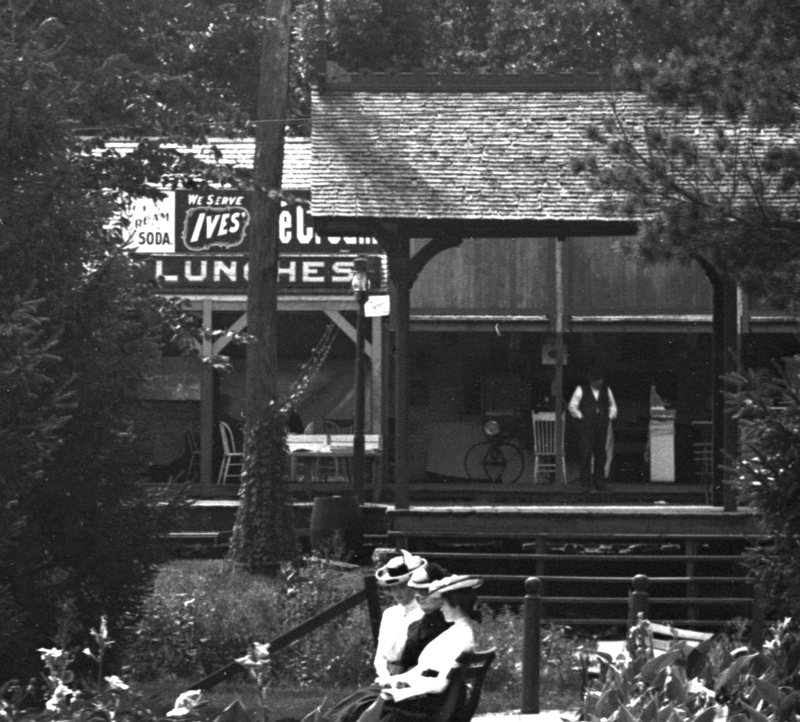 Dance halls, ice cream stands and photo vendors went up on the land west of the park that is today Highway 55. Back then, it was the long thin block between Minnehaha Avenue and Hiawatha Avenue. It was called the Minnehaha Midway.